You are my Sunshine, my only Sunshine….. 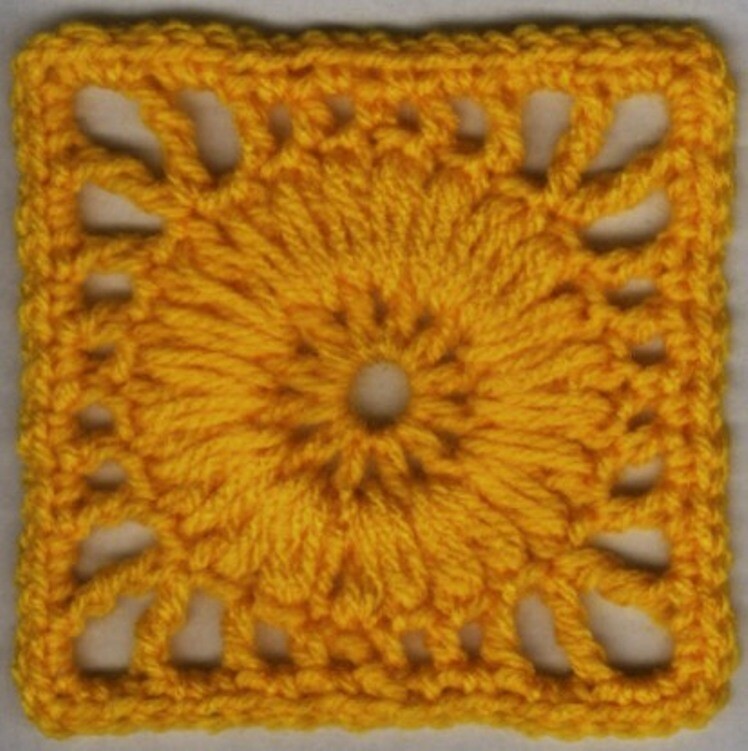 This Wagon Wheel Puff Motif Pattern by Megan Mills is the square you want to use in a blanket dedicated to the Sunshine in your life! The color suits the pattern very well. This cute design is by far one of the best ways to put a smile on someone’s face every time they think of you. A woman inherited an afghan from her Mother and the dog damaged it. She did not have the pattern to do repairs and put up a picture on the internet asking for help. This is my attempt to reproduce the design as best I can without seeing the article in real life. The picture here was done by putting the motif in my scanner so the central circle does not look as puffy as it will for you. Worked with a 4mm hook in Double Knitting yarn the motif measures 10cm across. Thanks to Megan Mills for the article inspiration and featured image. [Free Pattern] Oh, Scrap! This Easy Granny Afghan Is The Best!